Drum roll please!! Here at last is the third and final quilt made with the 2006 "Firehouse Friends" fabric by Alexander Henry Fabrics! 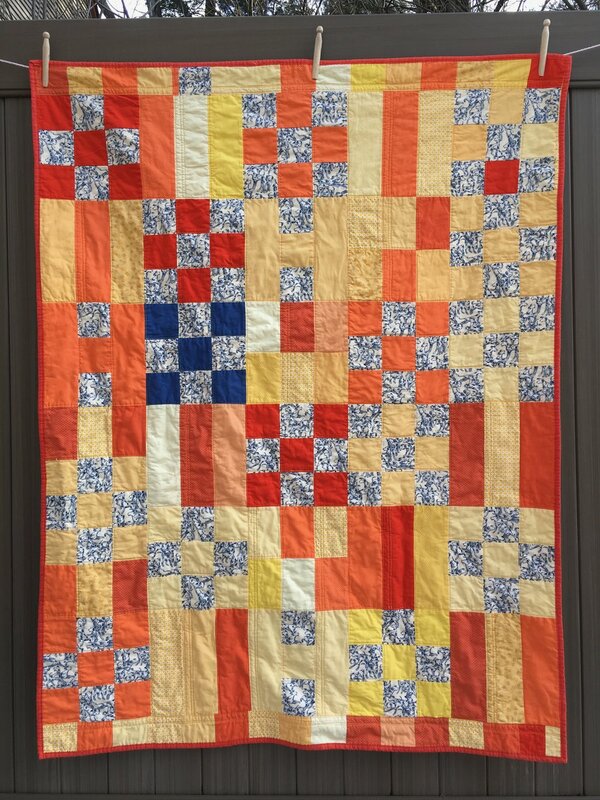 This quilt was made using colors from the warm side of the color wheel. The modern design is a collection of blocks which are all variations of the nine patch block. 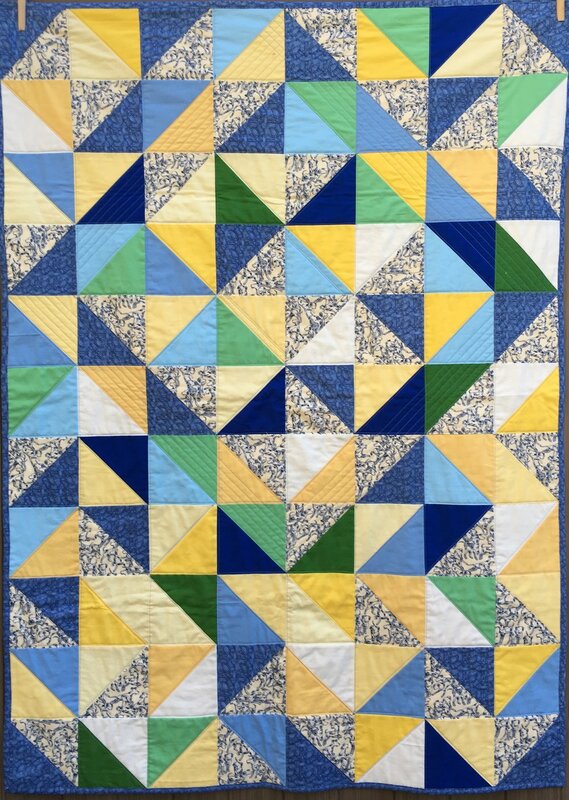 This quilt makes me happy and is the only one of the three staying in my collection. In fact I was so excited to use it that I forgot to photograph it before I tossed it in the wash! So the photos show the quilt in it's "lived in, natural state"! All three Dalmation Quilts are in the gallery below. (Hazel photo bombed the Nine Patch Variation!) The three quilts all have the same feature fabricbut are all very different. A fun exercise!